To finally get to the bottom of some of the myths about what happens when your gum winds up going all the way down your piehole, we enlisted the help of Dr. Lisa Ganjhu, a gastroenterologist and clinical associate professor of medicine at NYU Langone Medical Center. She graciously tolerated -- and even dispelled! 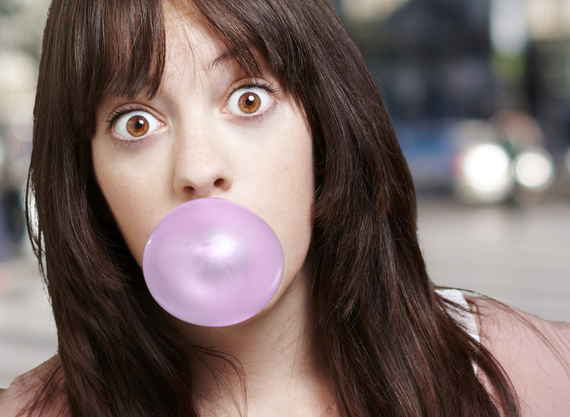 -- all of our misconceptions about gum. Truth: "It's hard to to say, because everything is different based on its chemical makeup. And every body is obviously different. The more processed things are, the more difficult it is to digest. The less natural, the longer it takes to digest." Truth: "No, it doesn't really make a difference from that standpoint. Gum in general is not a natural form. When exactly it gets digested is hard to say, because I don't think anyone has taken a deep look to see the pieces of gum in your stool." Truth: "It's a good urban myth type of thing, seven years is always a good number to pick up, I guess. But no, it's not a static number. If you swallowed a piece of gum when you were 7, it's not still going to be stuck in there somewhere." To find out the rest of the things that swallowing gum definitely WILL NOT do to you, read the full story at Thrillist.com!